Deluxe received thousands of nominations for Season 3. The public will now decide the winner, which will receive a $500,000 revitalization for its small businesses and downtown area and be featured in an eight-episode series that will stream on Hulu and SmallBusinessRevolution.org. Small business owners in the winning town will receive marketing support and business advice from a team of Deluxe small-business marketing experts, including Deluxe’s chief brand and communications officer Amanda Brinkman. Deluxe has also enlisted acclaimed TV star Ty Pennington, who will join Deluxe experts in the winning town and serve as celebrity spokesperson of the popular online series. Pennington will lend his expertise and will also support Deluxe in sharing the Small Business Revolution story. • Alton, Ill. – A riverfront community separated from Missouri and the St. Louis metro area by the Mighty Mississippi, this bustling town once boasted more millionaires per capita than anywhere in the U.S. Now, Alton is transitioning out of its heavily industrial past and is in the midst of an entrepreneurial reinvention. • Amesbury, Mass. – A historic New England town that was once famous for manufacturing everything from ships to carriages. Nestled on the Merrimack River, Amesbury now features a picturesque downtown that is filled with inspiring small businesses. • Bastrop, Tex. – A small community outside of Austin that has weathered challenges that include a massive forest fire. Its downtown, which feels plucked from a classic Western film, features everything from a moonshine distiller to an arts bazaar selling high-end Persian rugs. • Martinez, Calif. – The only town that can claim to be the home of both Joe DiMaggio and the martini, Martinez sits on the outskirts of San Francisco’s East Bay. Its downtown is experiencing a revival amid the renovation of beautiful historic buildings. • Siloam Springs, Ark. – Located in the northwestern corner of the state on the Oklahoma border, Siloam Springs blends a wealth of natural beauty with a youthful entrepreneurial enthusiasm and a robust Hispanic community. The passion their business owners have for the place they live and work is immediately evident. 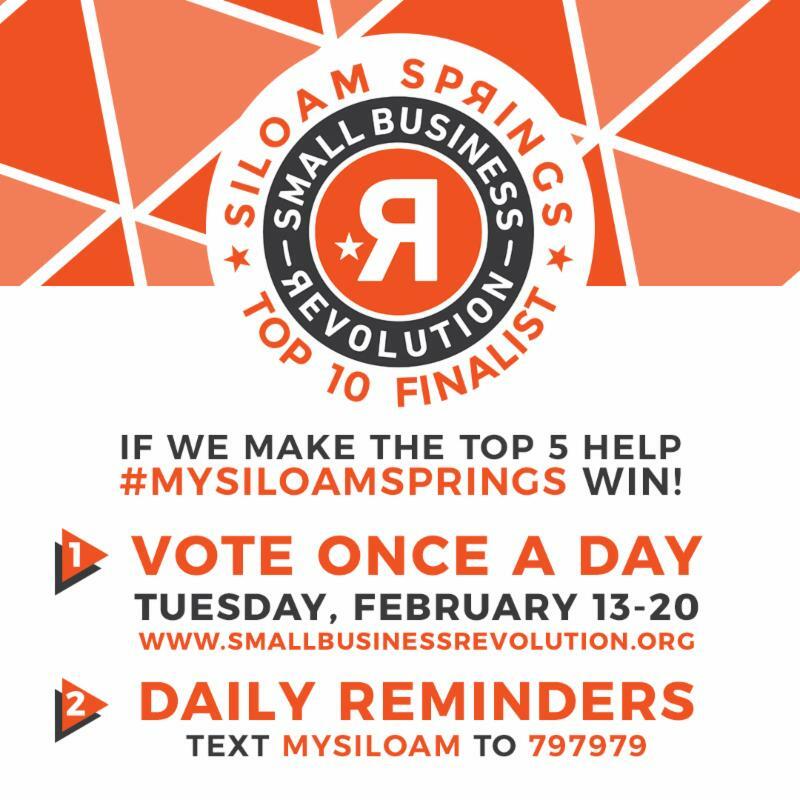 From Feb. 13 to 20, the public can visit SmallBusinessRevolution.org to watch a brief video about each finalist and vote for their favorite. Once the winner is chosen, Brinkman, Pennington and the Deluxe Small Business Marketing team will head to the winning town to begin providing marketing services and other assistance to the community. And the town’s story will be told in Season 3 of “Small Business Revolution – Main Street,” which will air in the fall of 2018. The winner will be announced on Feb. 27. Deluxe debuted the Small Business Revolution in 2015 to celebrate a century of providing marketing and other services to small businesses and financial institutions. The campaign started by telling 100 stories of small businesses across the country. In doing so, Deluxe found a need to support and celebrate small towns that originally inspired the “Small Business Revolution – Main Street” and its $500,000 boost. The first two seasons of the show can be seen at SmallBusinessRevolution.org.